In 1984 Keith and I traveled to Hawaii on a seed company trip. One day we took time to wonder over to the beautiful Royal Hawaiian Hotel and found ourselves charmed by the luxury, beauty and romance of this iconic place. Our hotel on Oahu was not far from the Royal Hawaiian so we walked over one evening to listen to music and sit at their outside lounge along the beach. Prior to the hotel being built, the area had been used by King Kamehameha and Queen Kaahumanu’s Summer Palace was previously located in what is now the resort’s Coconut Grove garden. The hotel was closed during WWII because it was leased to the U.S. Navy as a rest and recreation center for the Pacific Fleet. After the end of the war, they reopened to the public in February 1947. Since then, the hotel has been renovated and expanded, but with all the modern high rise hotels along the beach, this one has a historic beauty unrivaled by the others. If you would like more information on the beautiful Royal Hawaiian, log onto http://www.historichotels.org/hotels-resorts/the-royal-hawaiian-a-luxury-collection-resort/history.php. 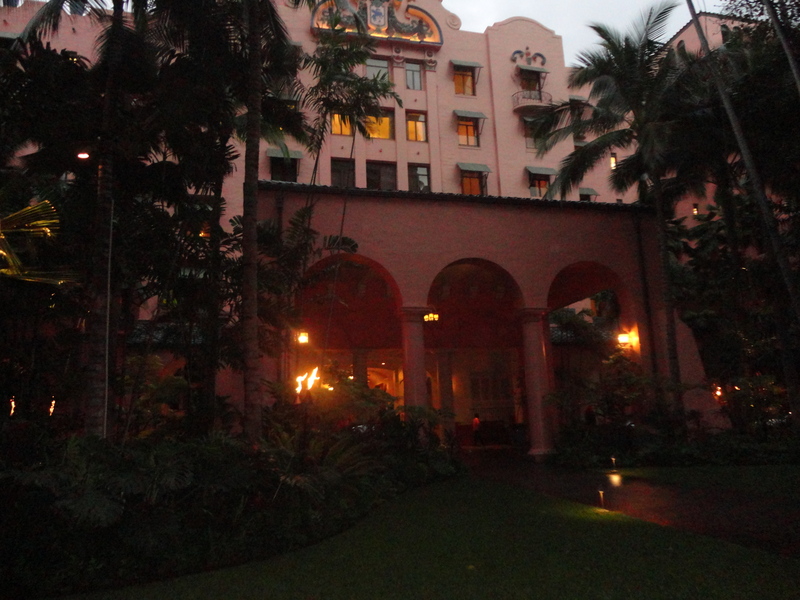 Next Post: The Royal Lahaina Resort, paradise!